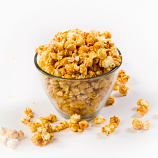 This "Premium" category of flavors features our popcorn with a little more magic to them. Our Caramel popcorn is a family recipe that has been passed down and you've not tasted anything as delicious and mouth watering as this. The Cinnamon Red Hot tastes just like the little red-hot candies or a fireball. 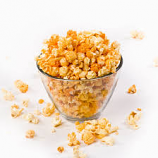 If you like hot cinnamon candies then this popcorn screams for you! Our Cheesy Ranch is first coated in our delicious white cheddar cheese and then the perfect amount of our ranch seasoning blend tossed over-top. 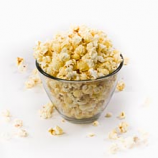 Jalapeno Cheddar is for those who want a little twist to their cheddar popcorn. The jalapeno seasoning we use is more of a jalapeno taste with a little kick rather then a huge jalapeno spice. A lot of folks say it tastes like nacho cheese . Nothing screams summertime in the Outer Banks then a nice juicy watermelon. 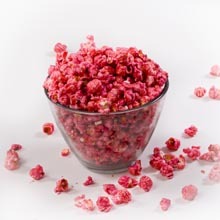 Our watermelon flavored popcorn is a bright pink color and many say it tastes just like a Jolly Rancher candy.